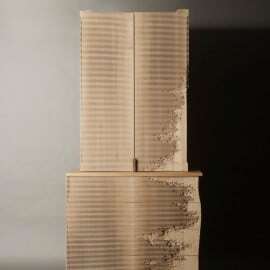 Since 2013 Todd Merrill Studio has exhibited work of designer Gareth Neal. 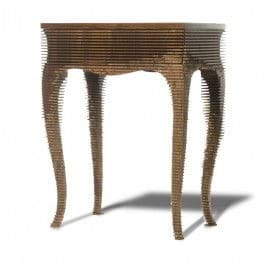 Neal combines modern technology and traditional woodworking techniques to create unique contemporary interpretations of historic designs. 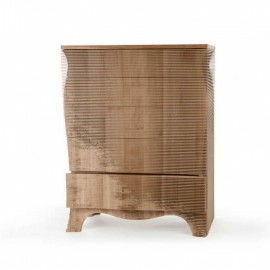 Featured in public and private collections around the world, Neal has literally and figuratively shaped a new era of design, one defined by its material inventiveness and references to the past. In 2002, Neal established his design practice in London’s East End, specializing in one-of-a-kind pieces for private and commercial clients. 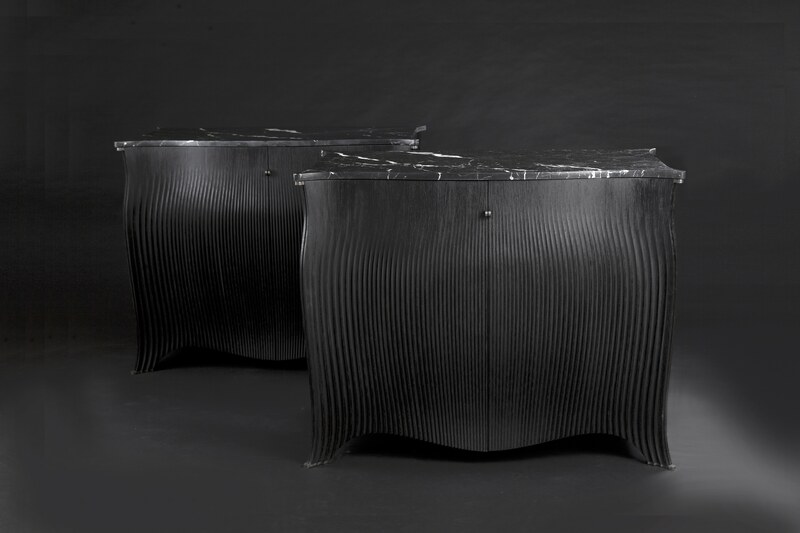 In 2012 his celebrated design, the 5-Drawer George was part of the critically-acclaimed exhibition, “Against the Grain: Wood in Contemporary Art, Craft, and Design,” hosted by the Museum of Arts and Design in New York, NY; the Museum of Art in Fort Lauderdale, Florida; and the Bellevue Arts Museum in Bellevue, Washington. As collectors and curators began to take note of his considerable talent, Neal secured prominent commissions with companies like Glenlivet, Aesop, and Vauxhall Motors. In 2014 Hampton Court Palace commissioned him to make a throne for the anniversary of George the 1st. In 2014 Neal’s George III Chest was purchased for the permanent collection of the Victoria and Albert Museum in London. 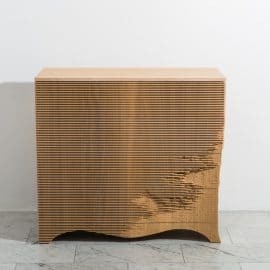 This chest of drawers was made using a combination of computer-controlled (CNC) cutting and hand chiseling. 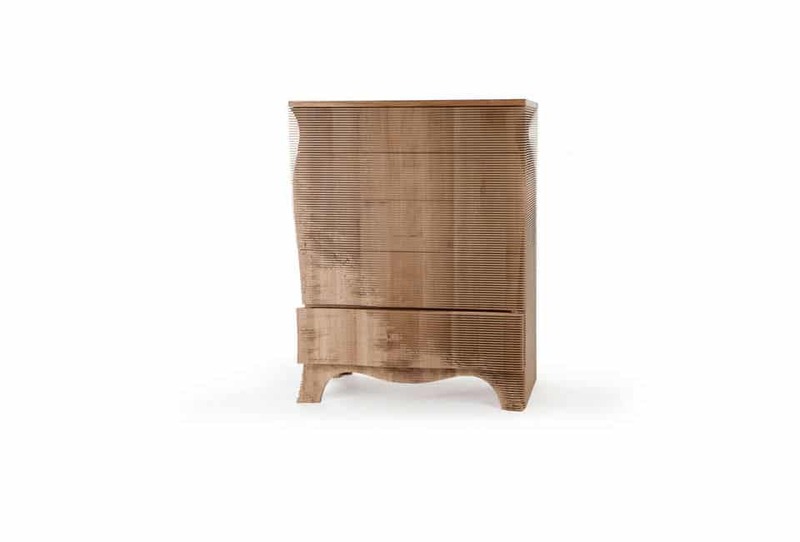 The two techniques create the effect of a rectangular chest of drawers, underneath which sits the sinuous form of an 18th-century commode. 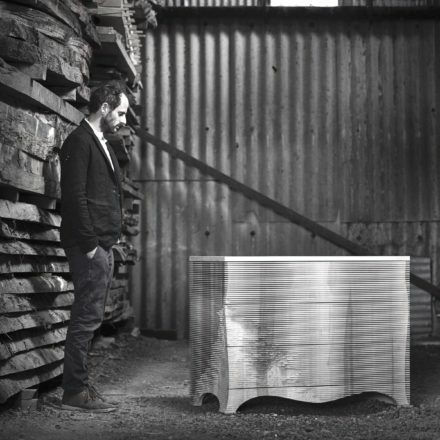 The American Hardwood Export Council and Benchmark Furniture initiated The Wish List, an exhibition at the Victoria & Albert Museum during London Design Festival. It brought together a stellar list of architects and designers for a unique collaborative project. 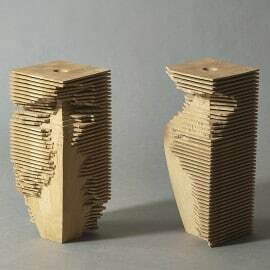 Neal was paired with Zaha Hadid. 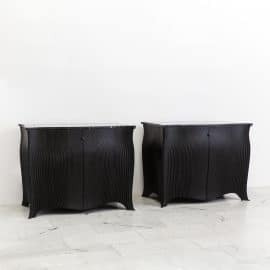 Using Hadid’s advanced computer modeling software, the two artists pushed the boundaries of digital craftsmanship using the traditional vessel form as a starting point and subverting its appearance to dramatic extremes. 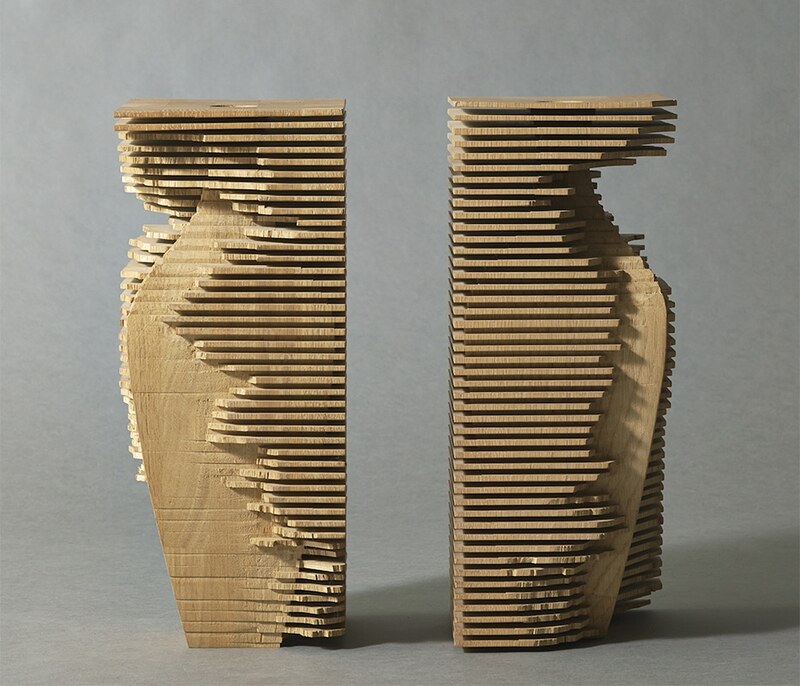 The collaboration, titled Vas-el, was the winner of The Wood Awards Bespoke Category in 2015. In 2016, Todd Merrill Studio exhibited Big George at the distinguished Winter Antiques Show in New York, NY. A large scale commission for Our Lady of Victories Church in Kensington was unveiled at the London Design Festival in 2017. 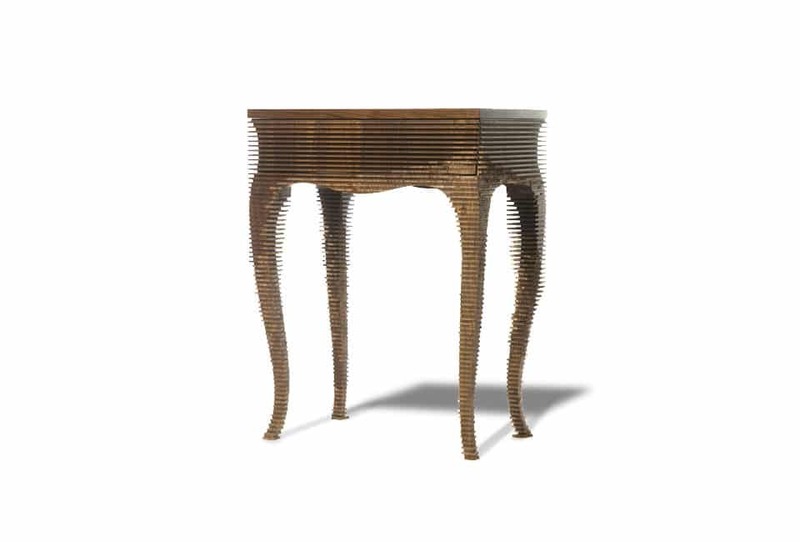 Spanning two years, Neal and partner Chris Eckersley worked on the creation of original pieces, collaborating with the Parish and the UK’s leading craftsmen in wood, brass, and stone. Through these collaborations they pay homage to the historical linear-age of these crafts and materials. The result is a contemporary sanctuary for a modern Parish. As the artist is available on a commission basis, bespoke works can be created.